October 14, 2013 - United Airlines frequent fliers file lawsuit against the carrier for what they believe is deceptive practices in the carrier’s frequent flier Milesplus rewards program. Robert Gordon and Melissa Chan of New Jersey had planned to travel to Japan in August 2012. Robert wanted to use his Milesplus rewards to book a hotel room. He went online to United’s website and it indicated for a three night stay Robert would need 40,750 miles, but he only had saved up 38,183 miles. So the couple decided to use Melissa’s Milesplus rewards because she had more frequent flier miles with the carrier then Robert. While still online the couple entered Melissa’s information for the same room and stay time, she had 41,773 miles saved up enough for a three night stay. However, when the couple completed entering Melissa’s information United’s website indicated that she would need 44,550 miles, not 40,750 miles as with Robert. United Airlines’ website indicates the carrier will sell to its frequent flier member’s miles if they are short at a rate 1,000 mile increment for $35 plus 7.5% excise tax. United claims this is "perfect if you are just a few thousand miles short of your next award trip”. 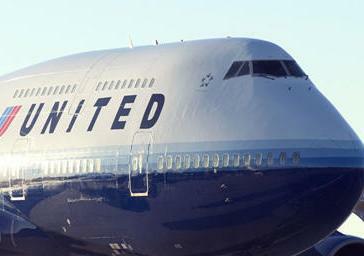 United represents that the amount of miles needed for an award is a set published amount "the amount of mileage necessary to redeem each award will be set by United and published to the members" United also states “mileage earned in two or more different accounts may not be combined to redeem any award”. Concerned and upset Robert contacted United’s customer service and explained what he was experiencing online with booking a hotel room. In court documents it reports that Robert was informed by the carrier that “United utilizes an algorithm that modifies the number of miles needed for an award depending on the customer's number of miles”. Essentially, admitted using an algorithm that increases the number of miles a customer needs for an award, based on their total miles. Court documents further indicate not only did United require that Melissa have more miles than Robert for the same service on the same day, but each time they were just a few thousand miles short of their next award trip. United's website does not indicate nor do they disclose that the company charges its frequent flier users who have more frequent flier miles more than a customer with less miles for the same service. Unbeknownst to United Airlines frequent flyer customers, when a customer has more miles, the carrier charges them more miles. United Airlines represents to its customers that the amount of miles necessary for an award is a set published amount. Robert and Melissa alleged “United's failure to disclose that it increases the number of miles a customer needs for an award, based on total miles, is a deceptive and unconscionable corporate practices”.